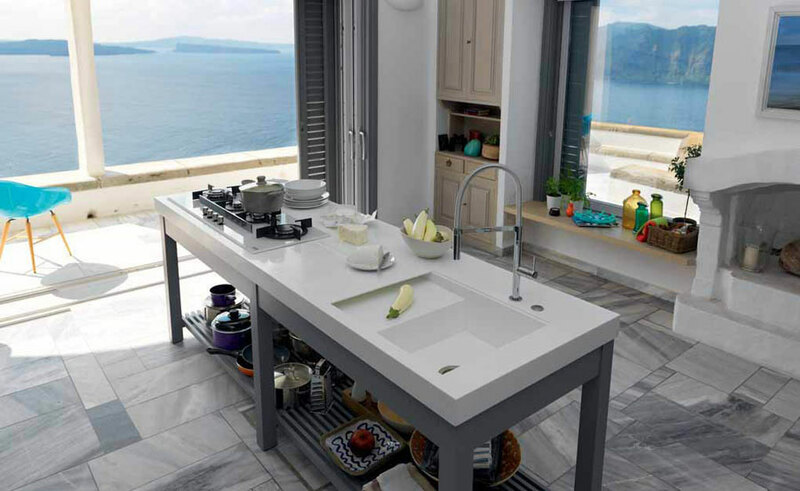 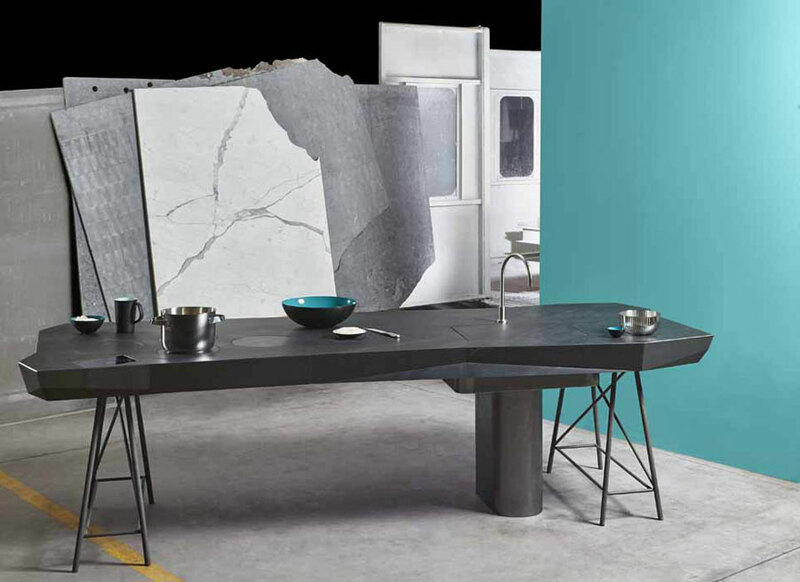 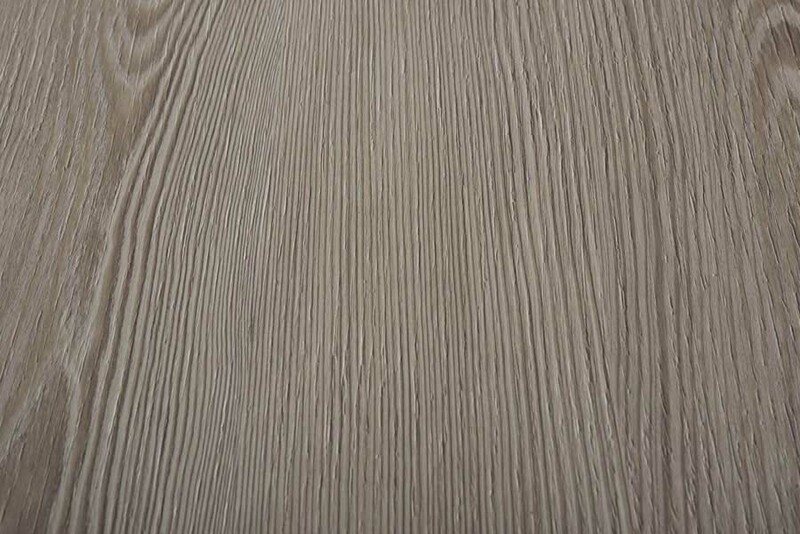 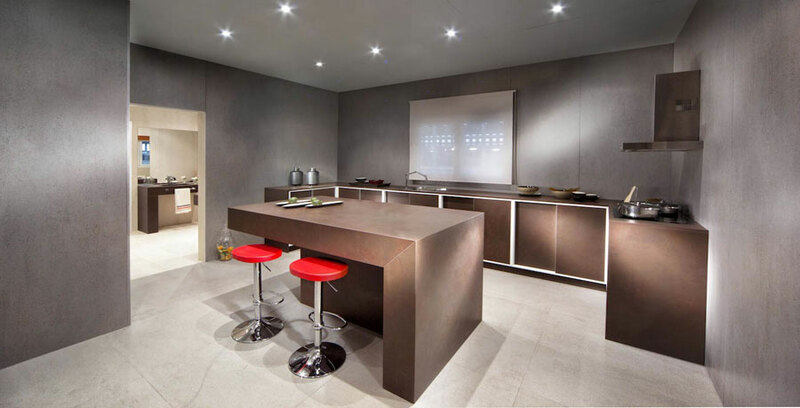 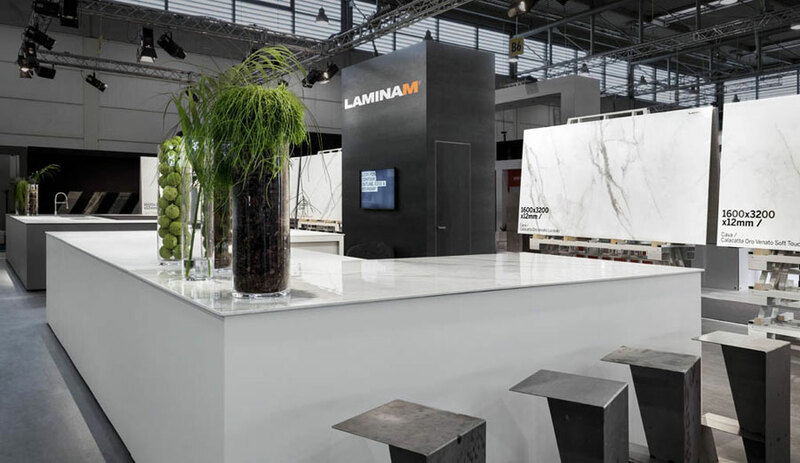 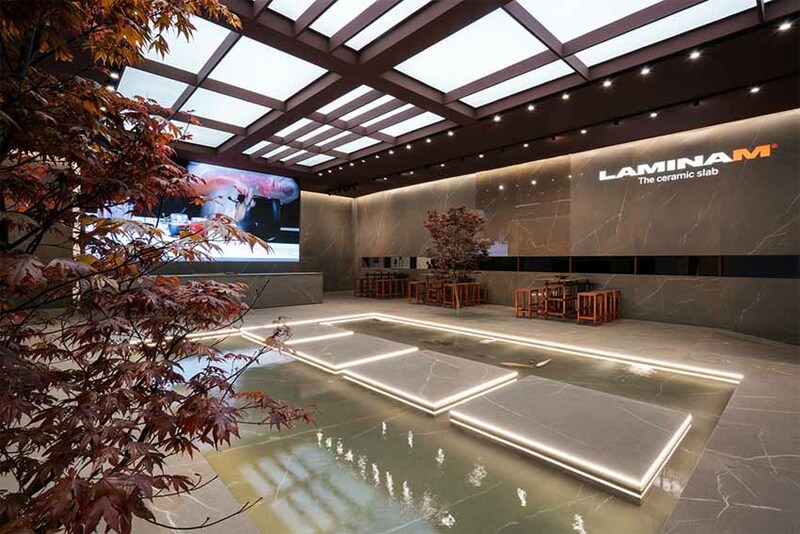 Laminam ceramic slabs in the format 1620x3240mm, thickness 12mm are addressing to the furniture’s world, like horizontal plans, from the tables to the kitchen and bathroom masterpieces. 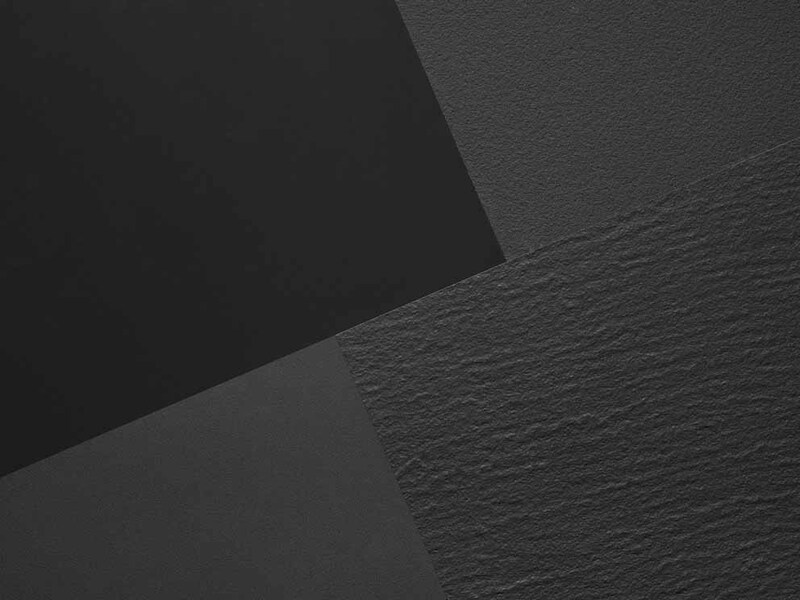 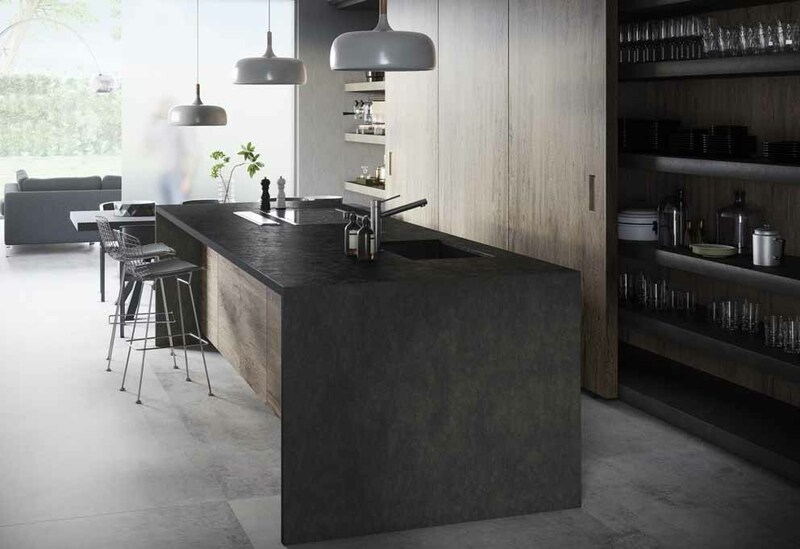 Bromo and Milar are the two new dark and opaque shades proposed under the Dekton® by Cosentino brand, designed to give a touch of personality to every interior or exterior design project. 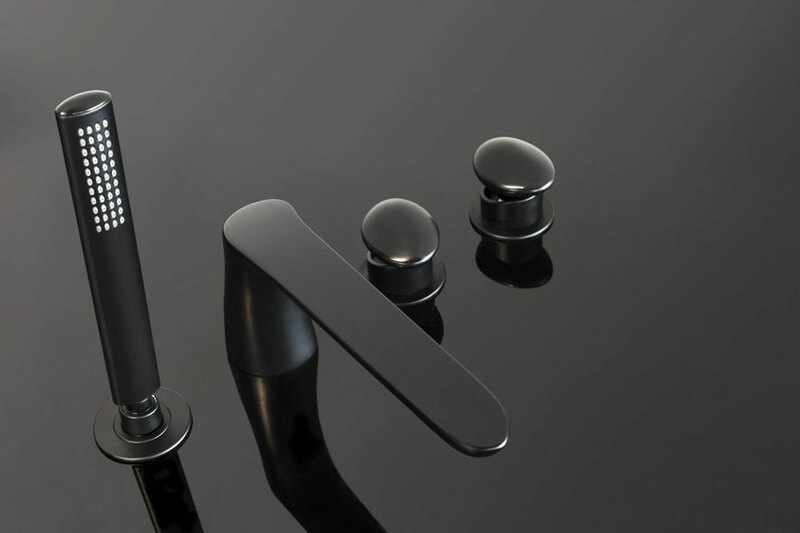 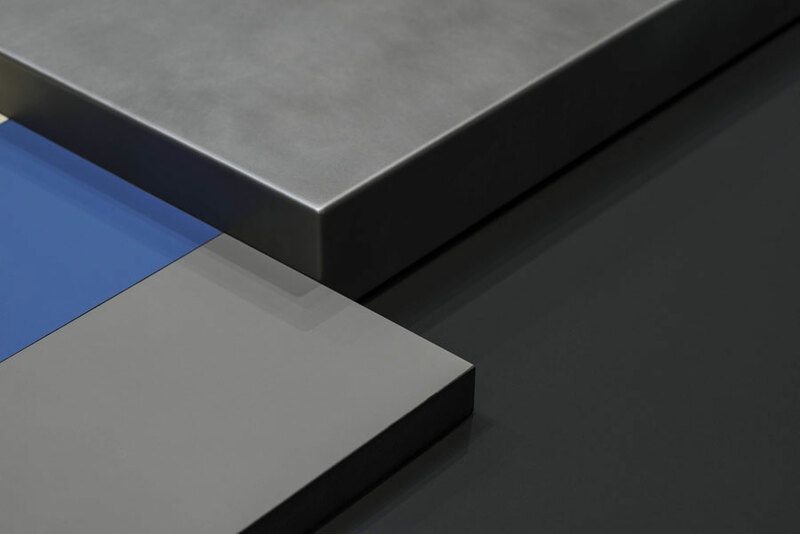 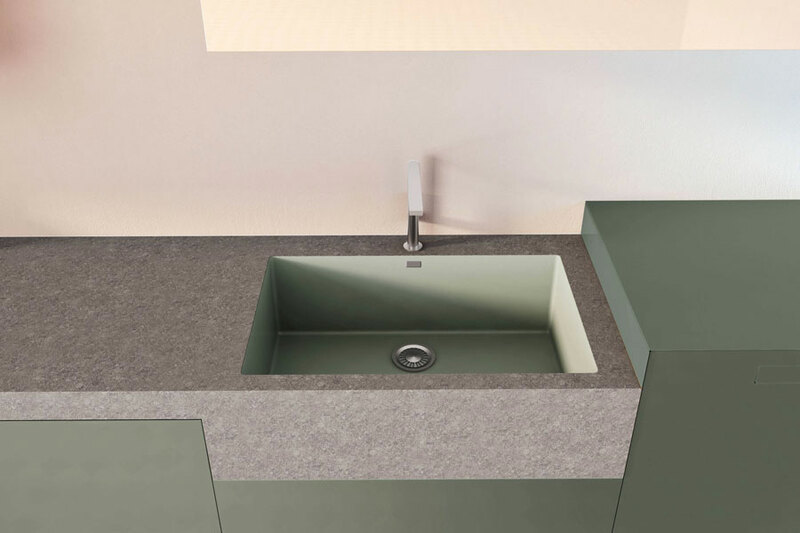 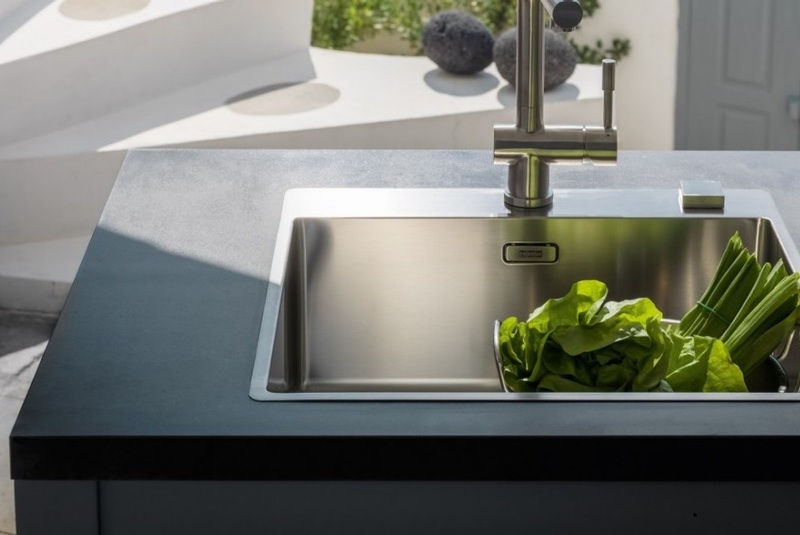 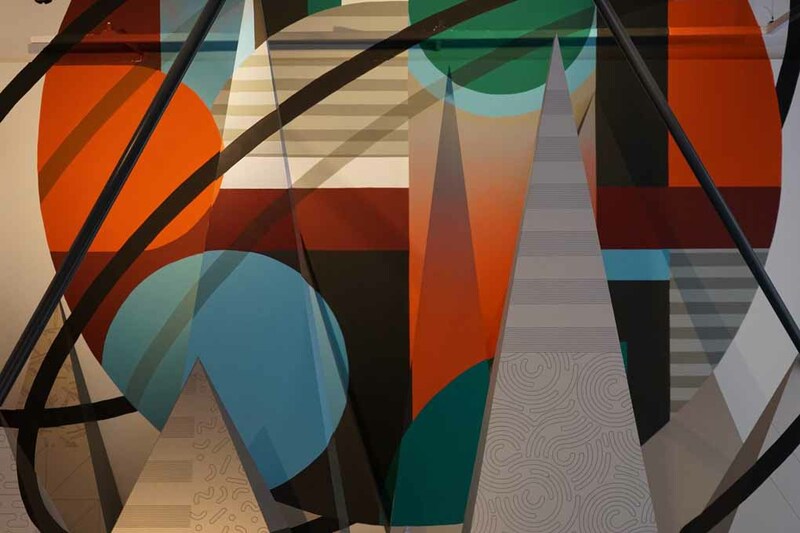 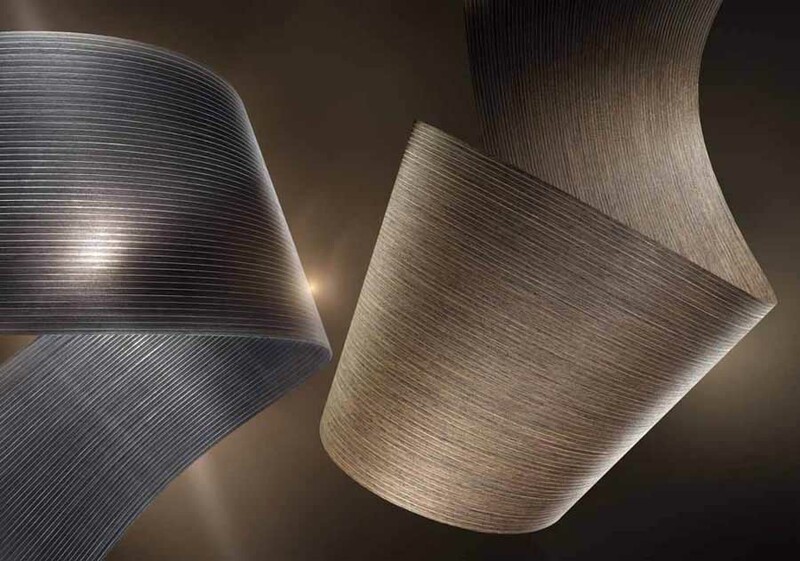 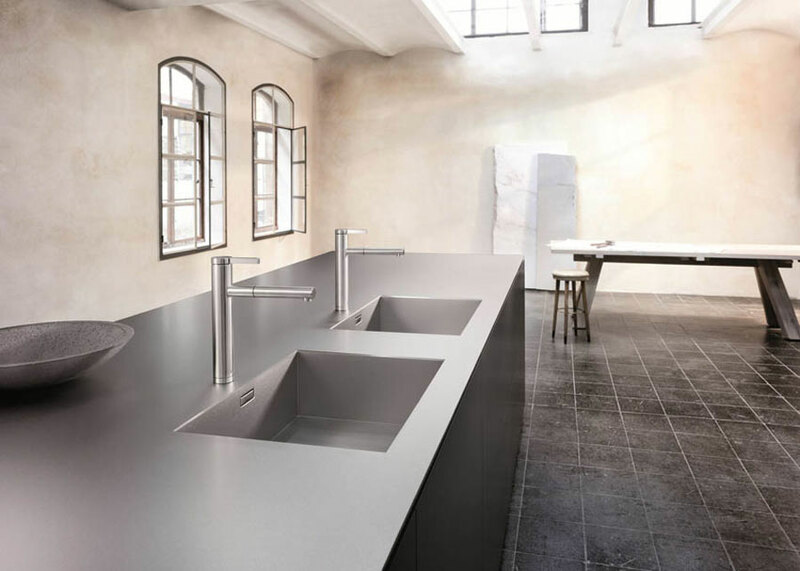 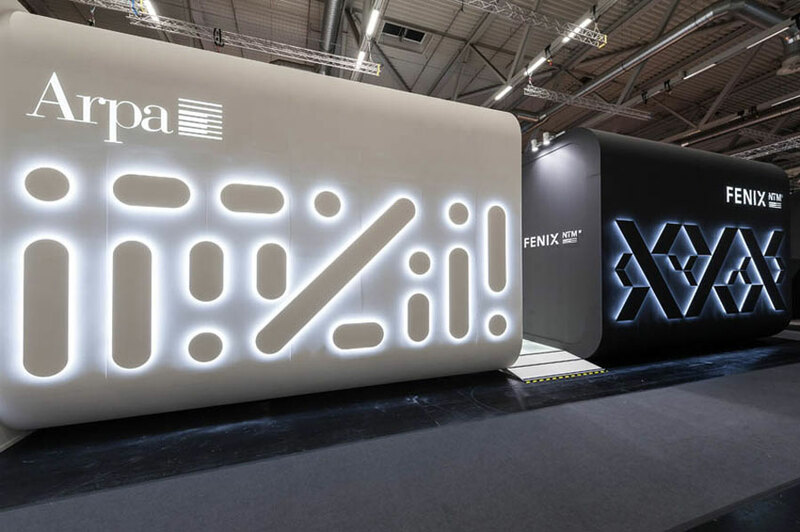 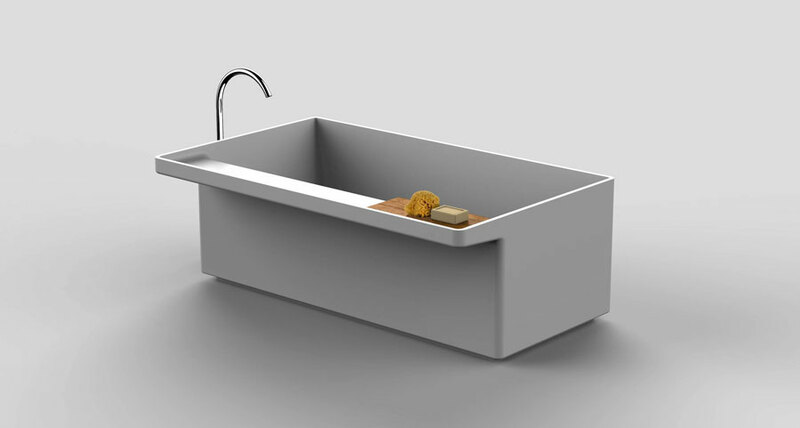 Arpa Industriale presented the new Kér finish, unprecedented patterns for the Losa finish, the new Fenix NTA colour collection and launched the Fenix Integrated Solutions - Sink concept. 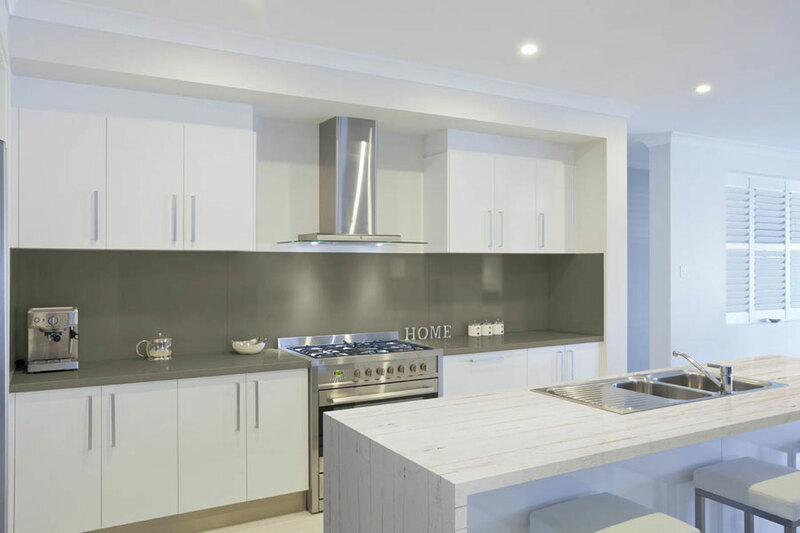 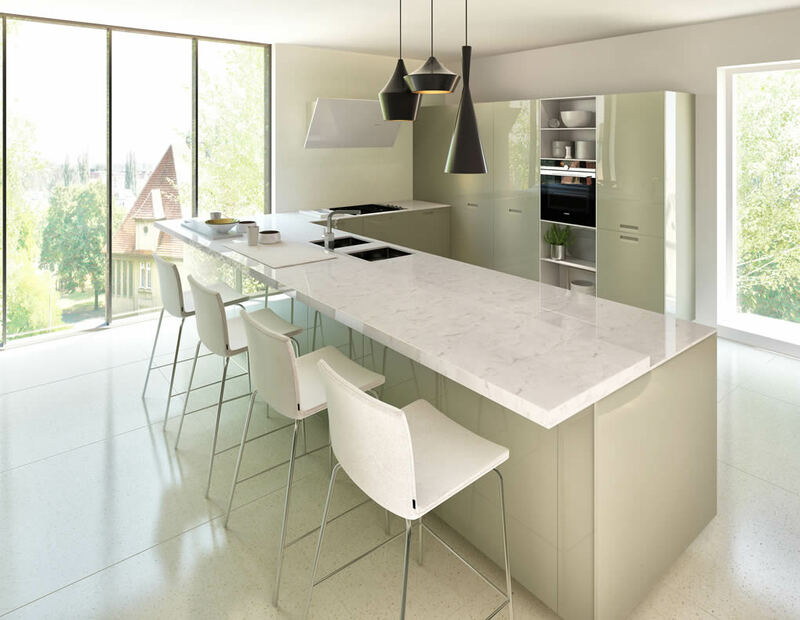 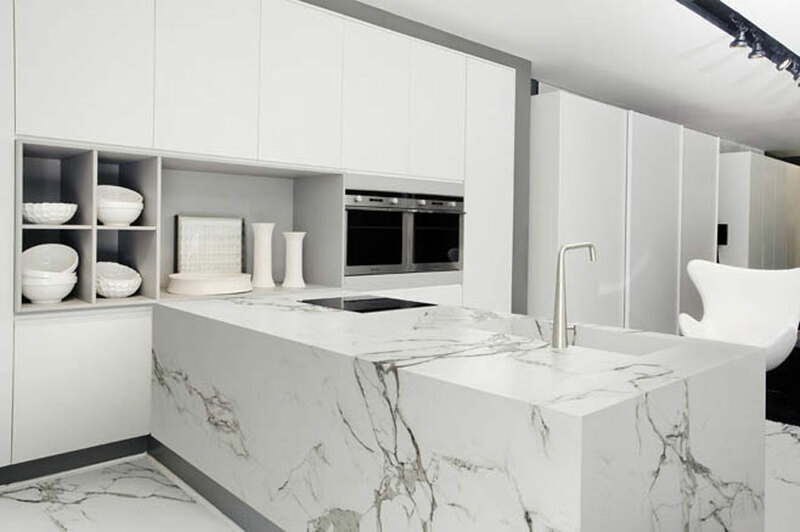 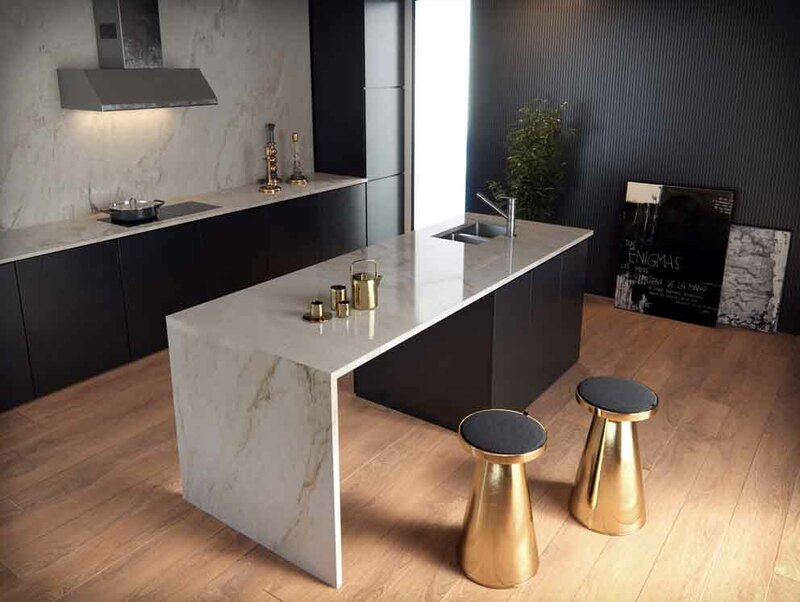 Cosentino Group has expanded the Sensa by Cosentino® range of protected natural stones with two new types of Brazilian exotic quartzite. 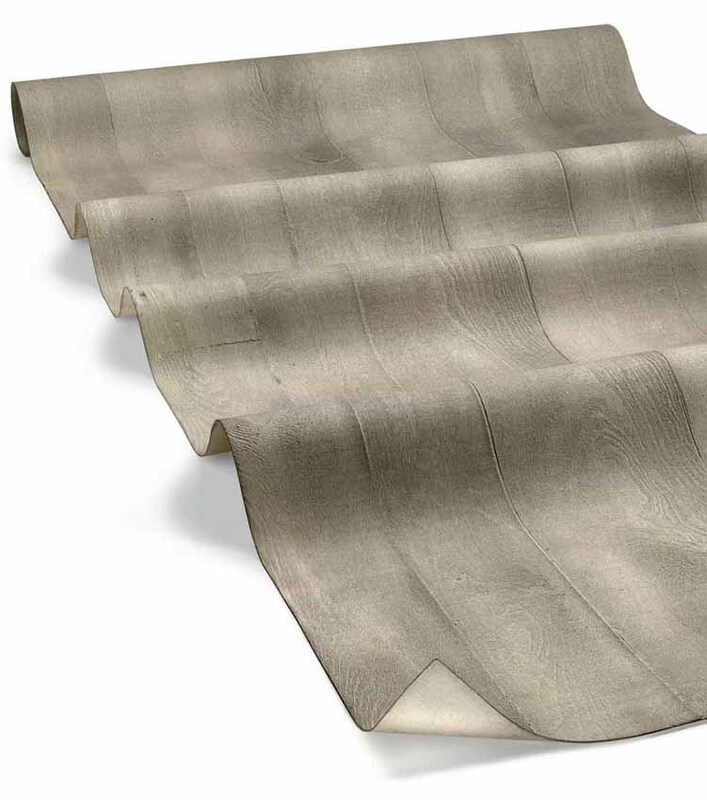 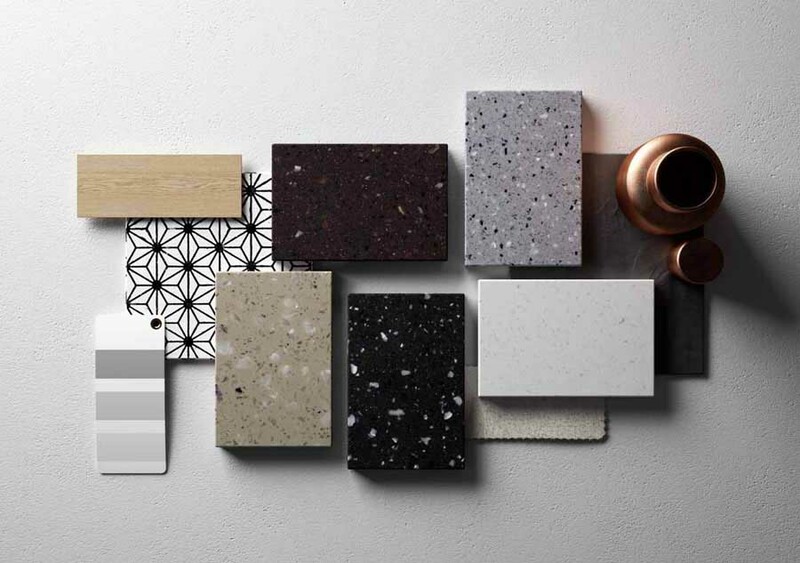 LG Hausys presents HI-MACS® Concrete as the new collection 2018 inspired by industrial architecture. 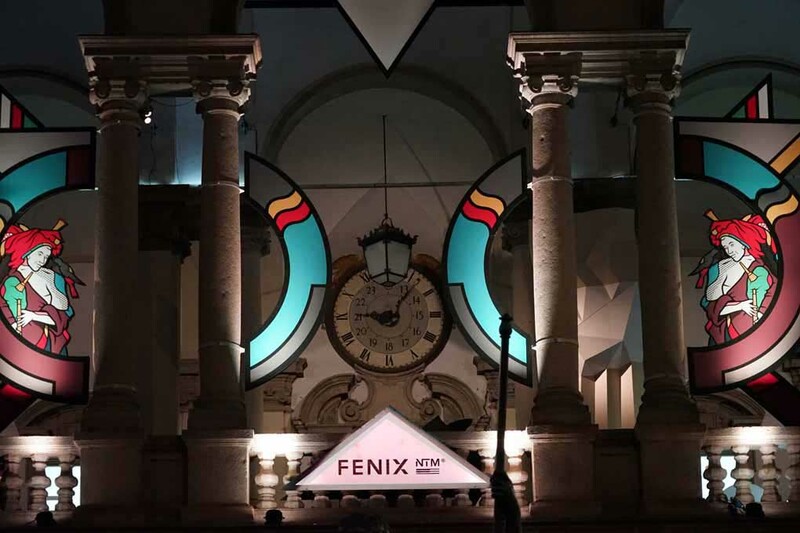 The "Technology" artistic installation, curated by ArpaLab and created by the Truly Urban Artists collective, has interpreted the nanotech surface structure of FENIX seen under a microscope. 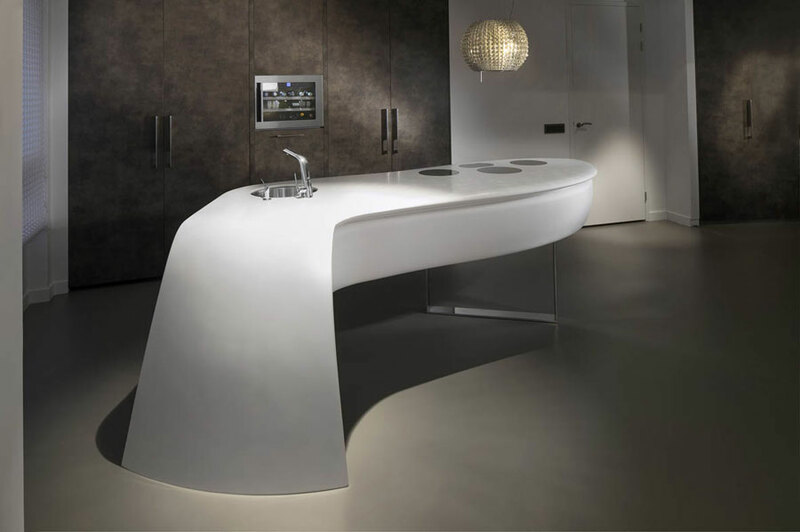 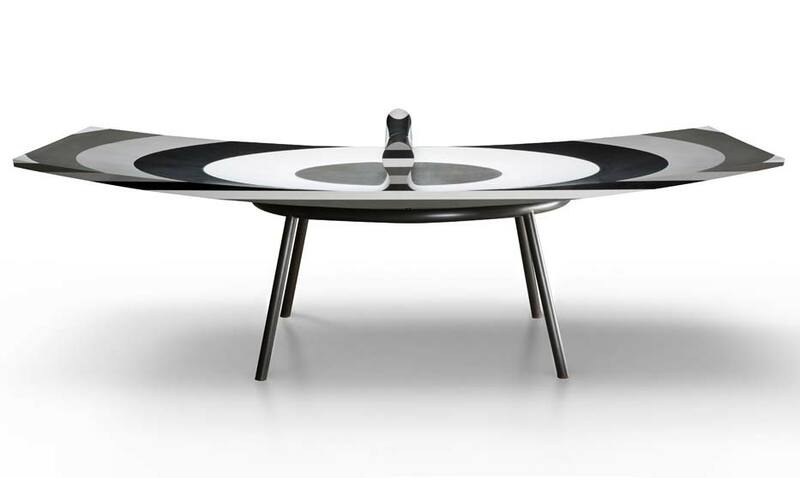 Ron Arad realized the 10 LAYERS project, a particular ping-pong table in Silestone®, the highly technological material of Gruppo Cosentino. 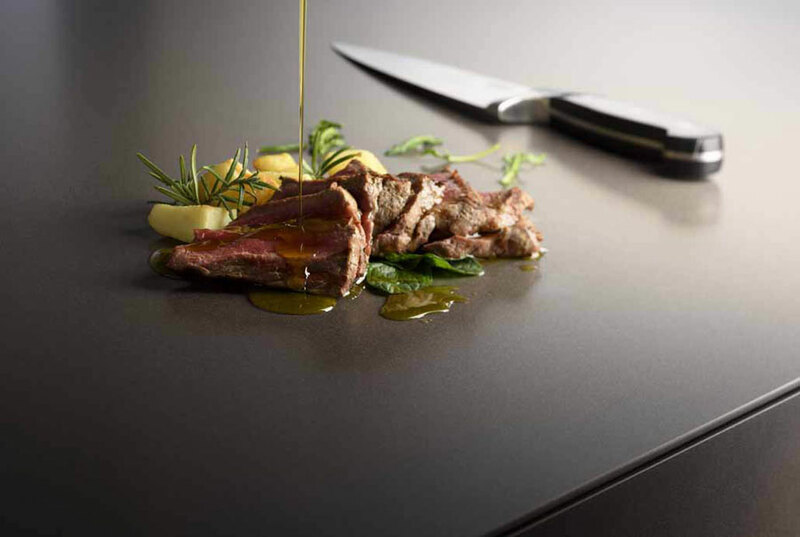 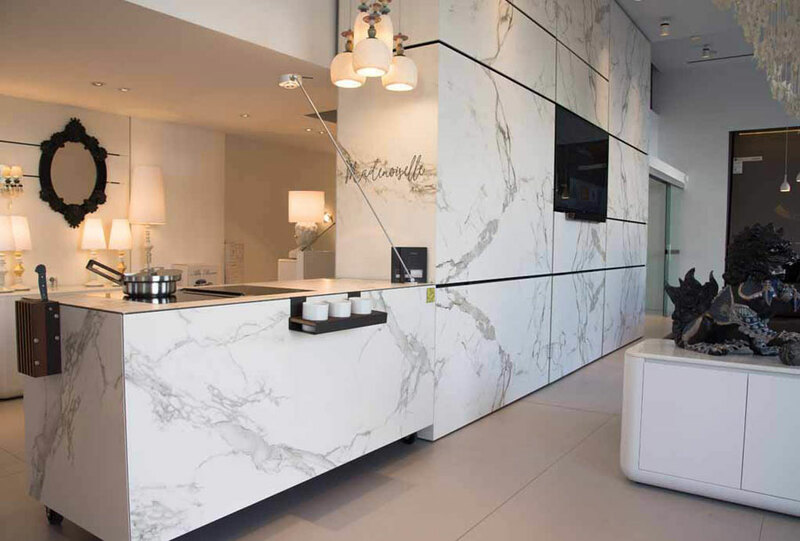 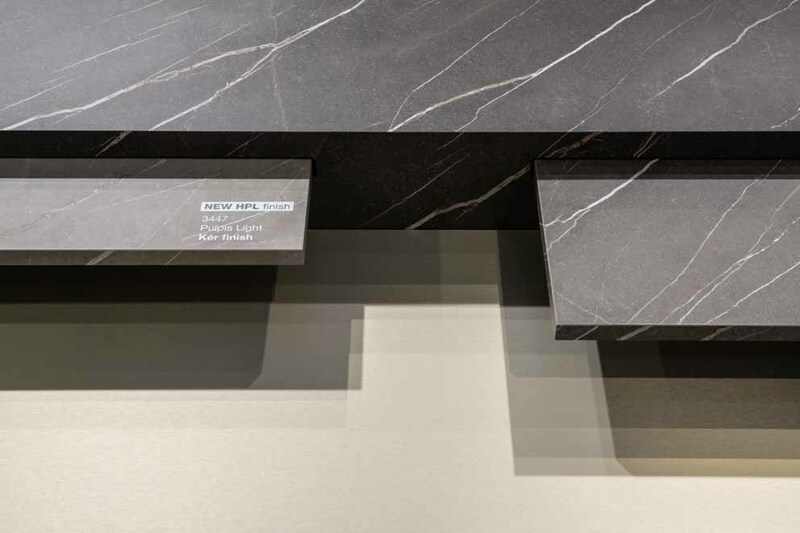 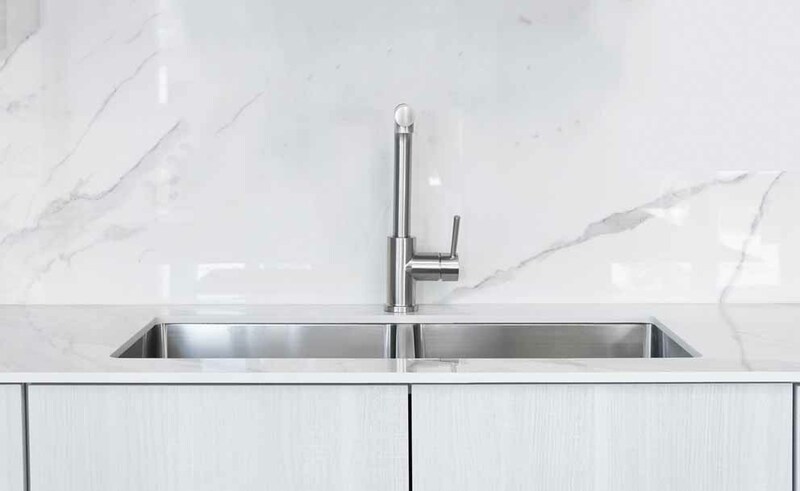 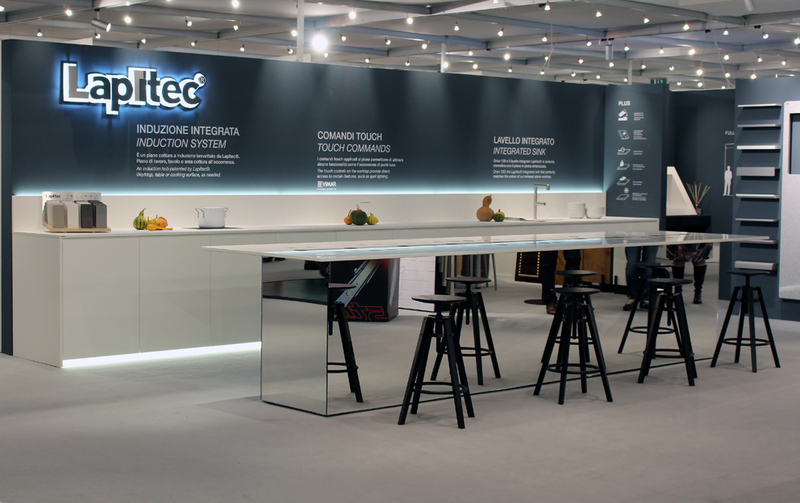 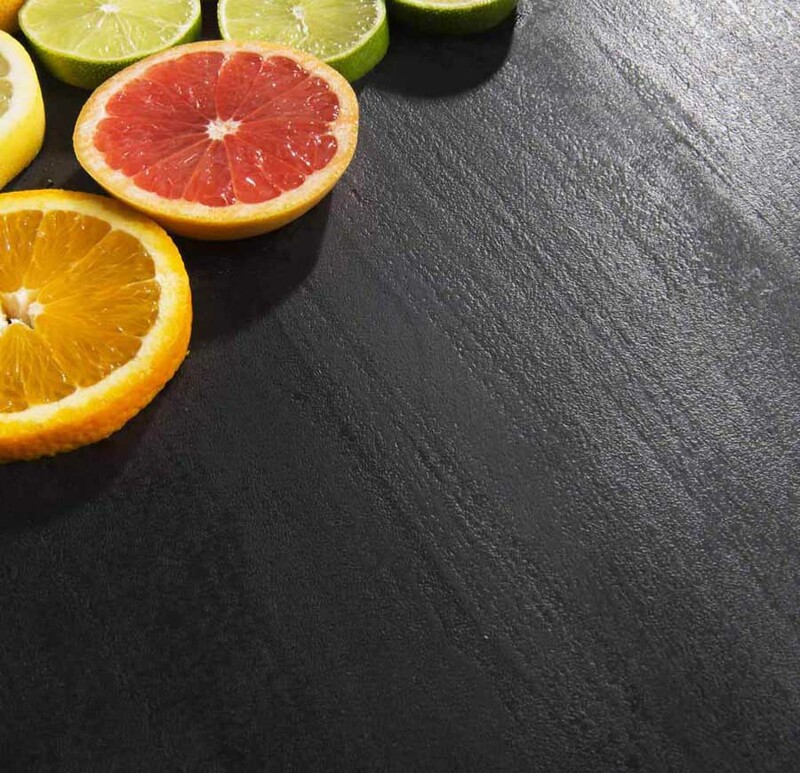 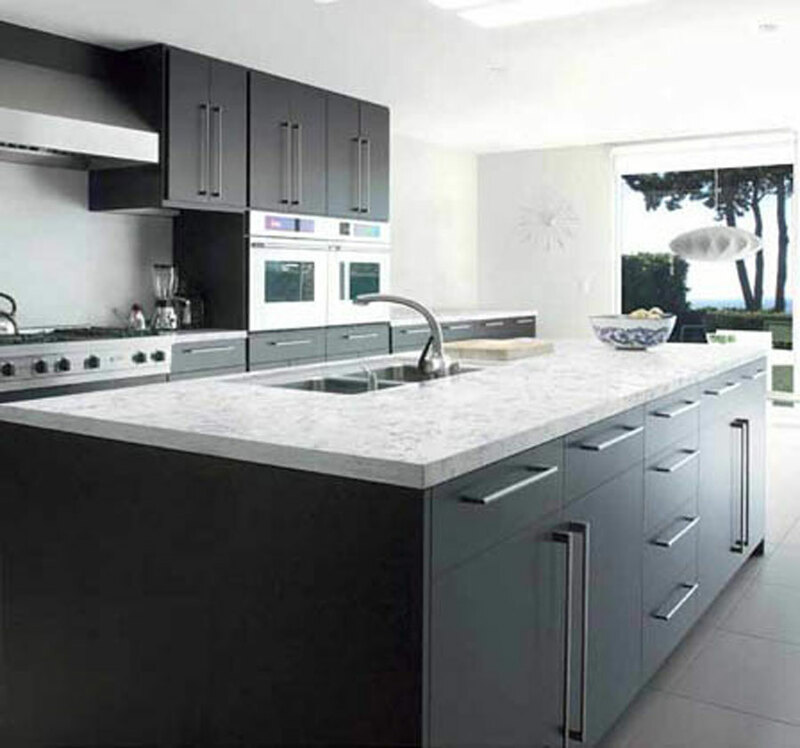 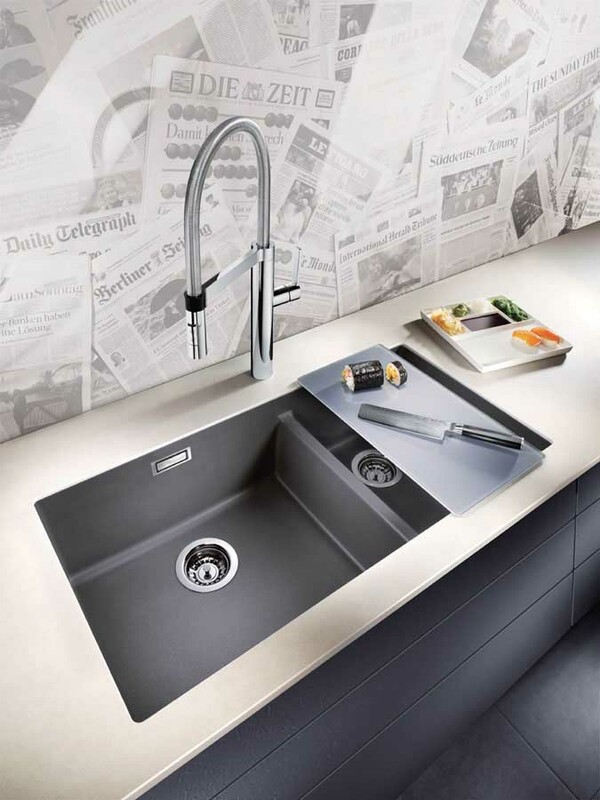 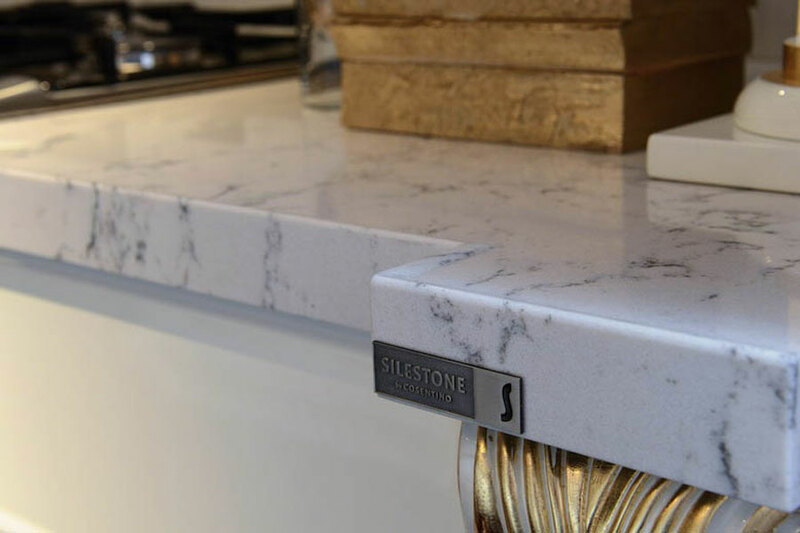 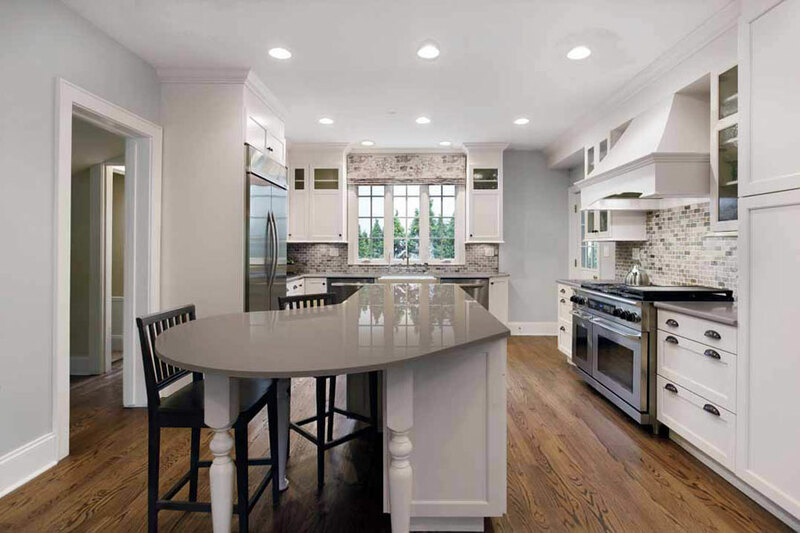 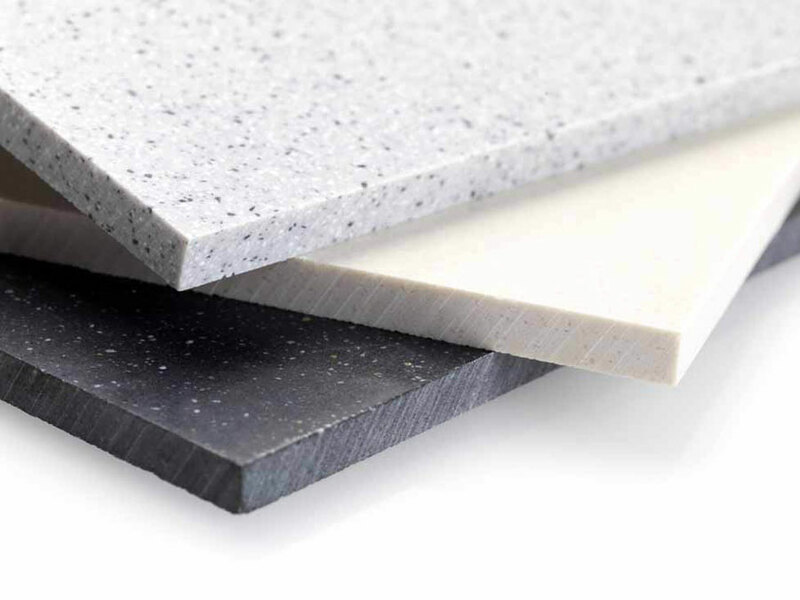 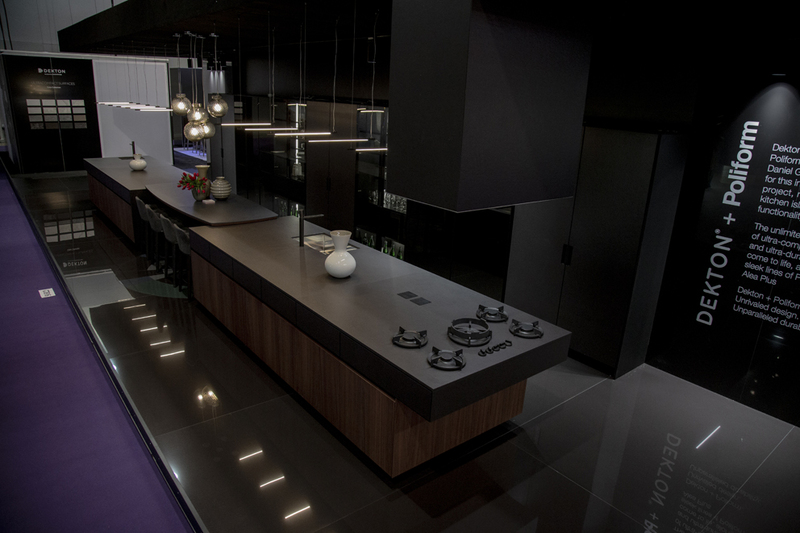 Lapitec presented at the KBIS exhibition in Orlando, Florida, the two new features Absolute Black and Absolute White of the full-body Lapitec® sintered stone ideal for kitchen and wall coverings. 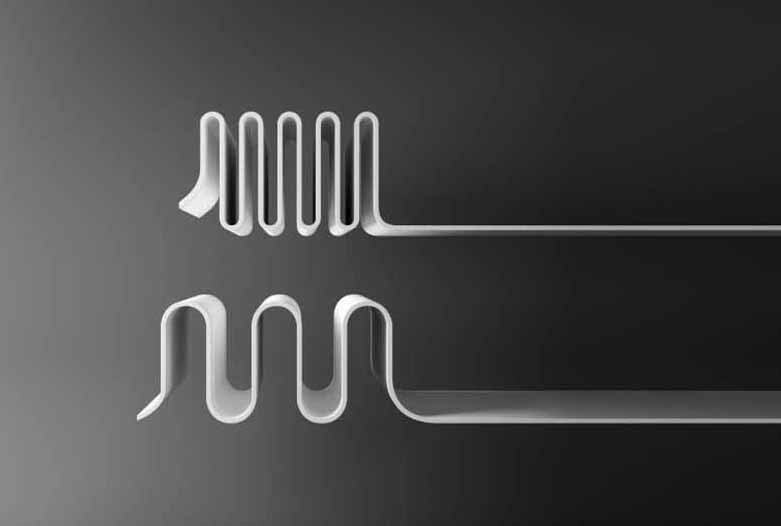 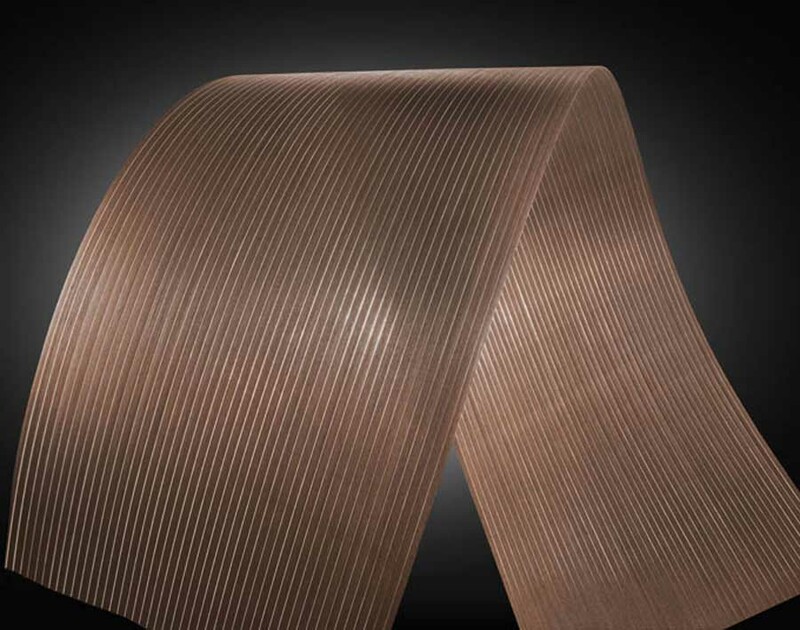 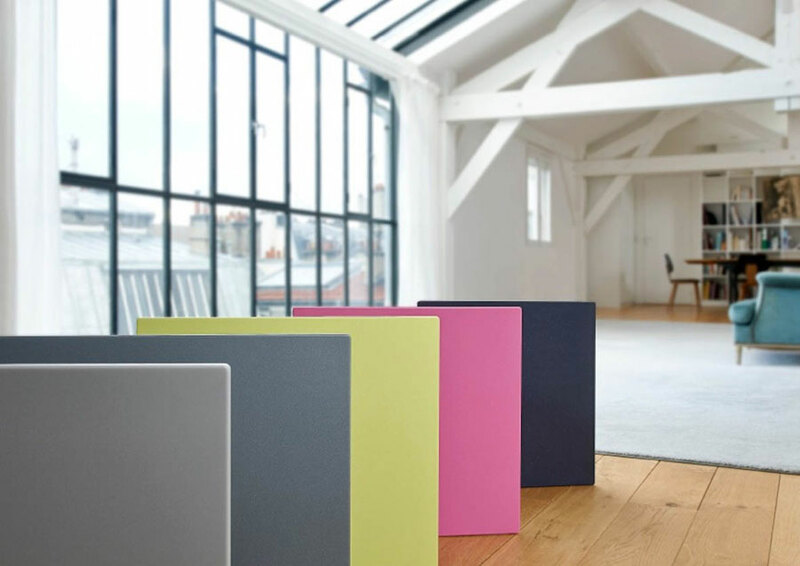 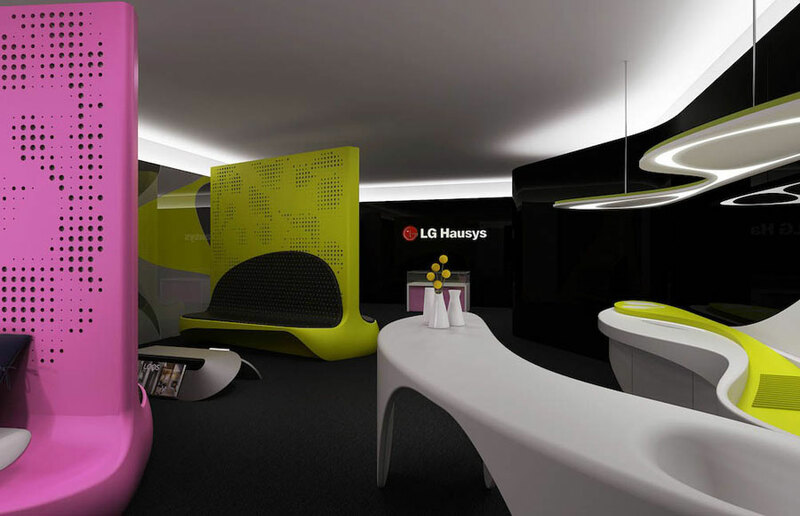 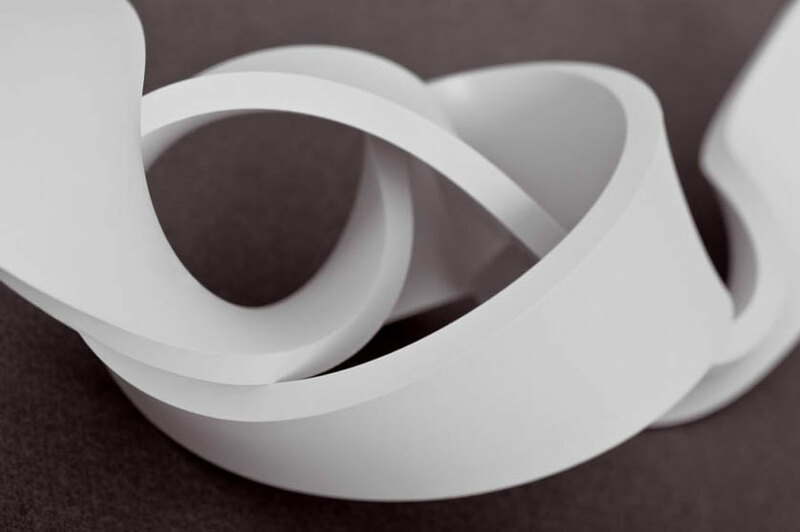 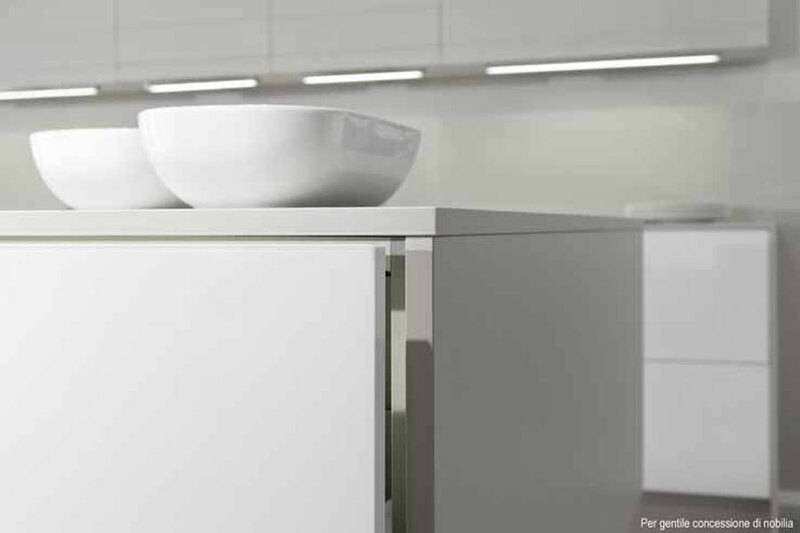 LG Hausys presents HI-MACS® Ultra-Thermoforming, whose innovative formula increases the thermoplastic possibilities of the material which can be processed by up to 30% to obtain a minimum bend radius of 18 mm. 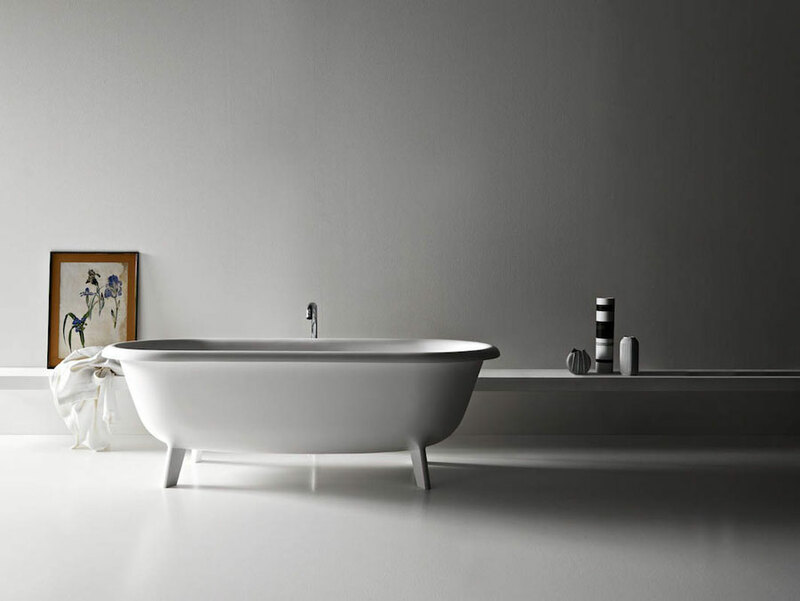 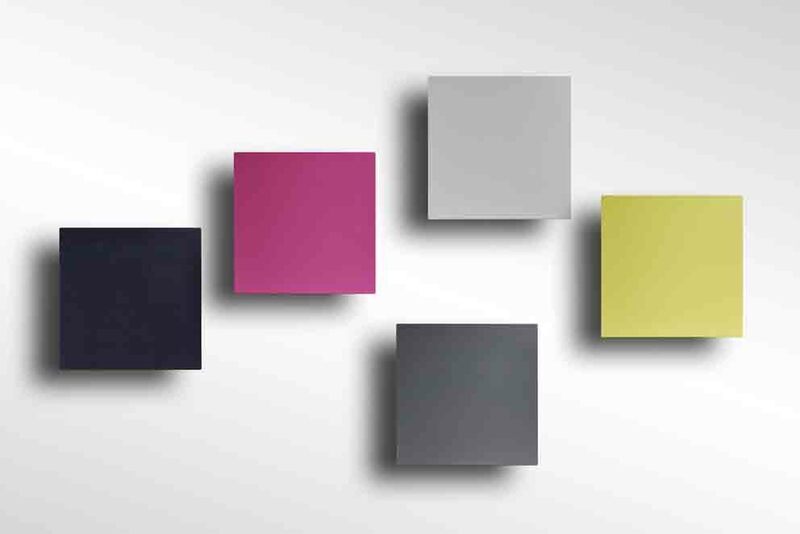 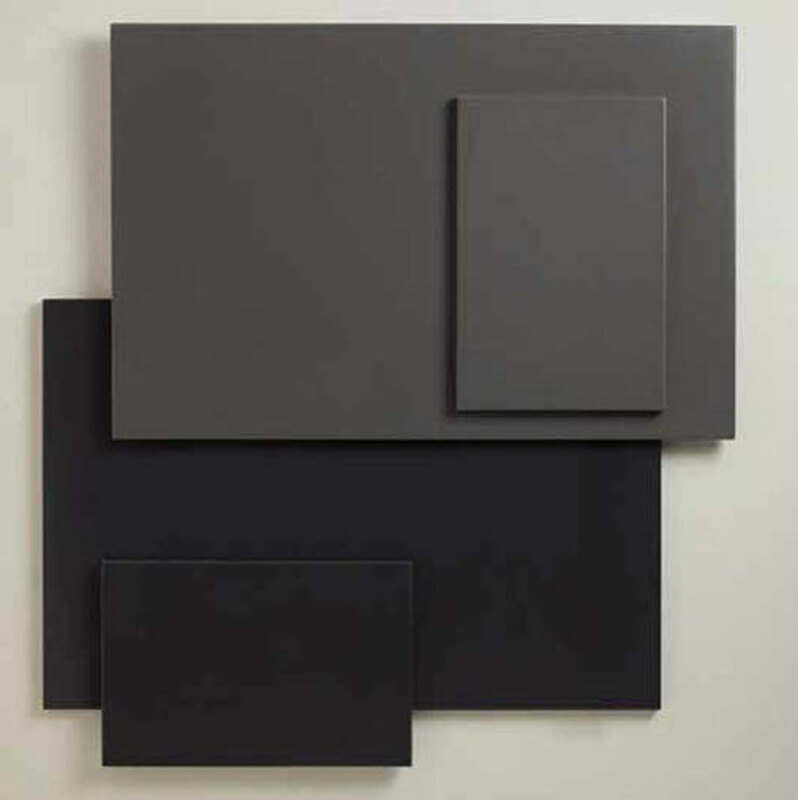 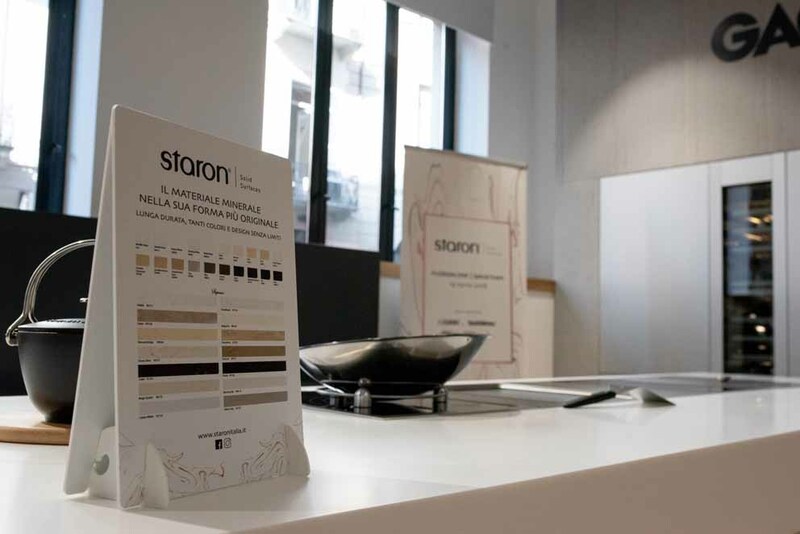 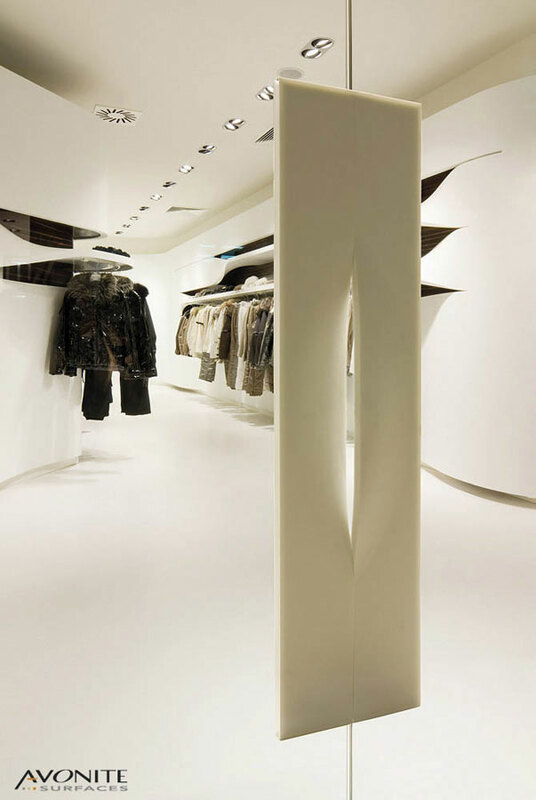 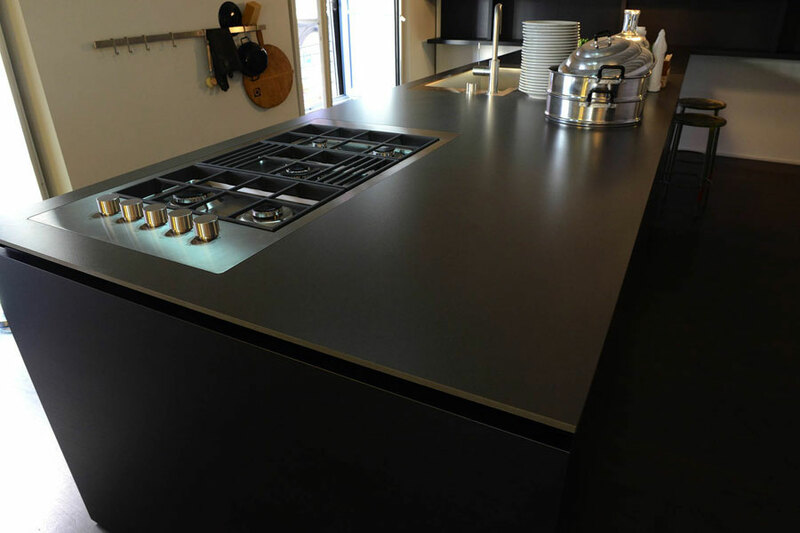 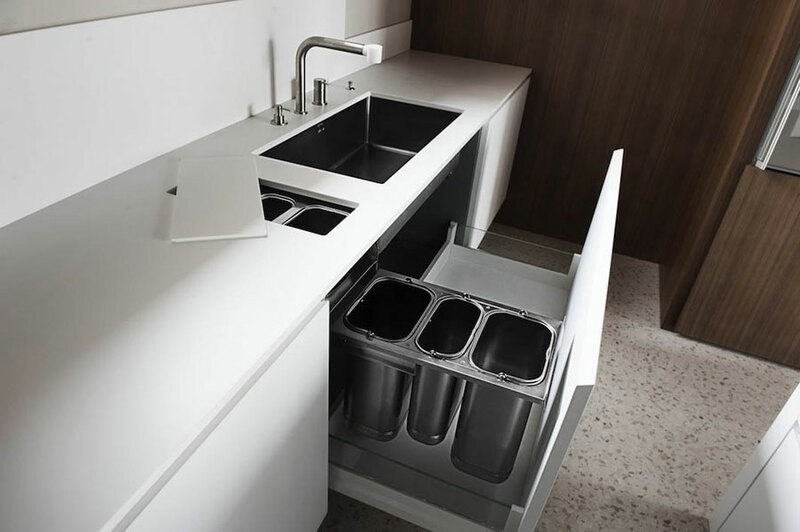 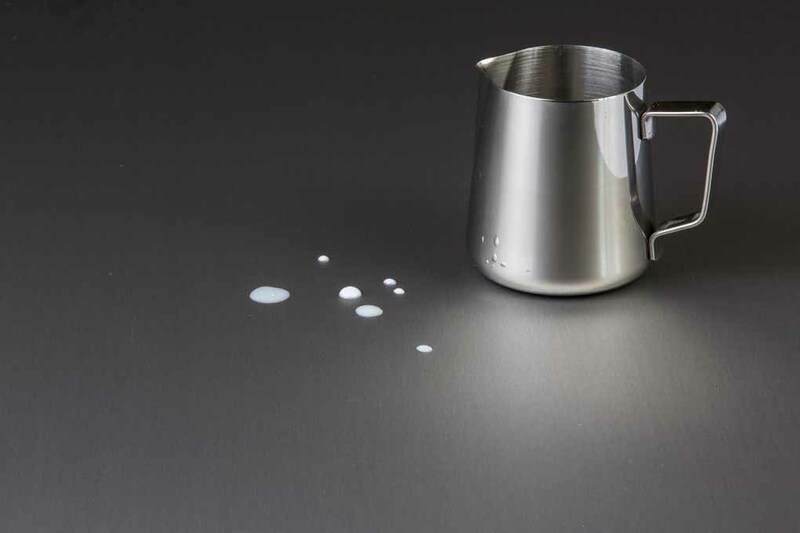 Bonomi Group Pattini presents the exclusive STARON ® Solid Surface material which for over twenty years has been used for prestigious architectural and interior design projects. 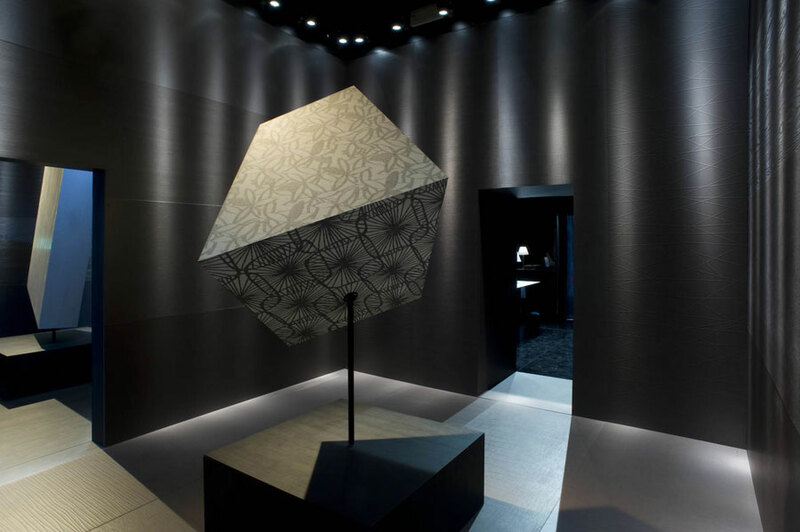 Inside the upper-deck open gallery of Pinacoteca di Brera, FENIX NTM®, the Nanotech Matt material for interiors, reinterprets the iconic figure of the "wild card" through Van Orton Design's "pop" creativity. 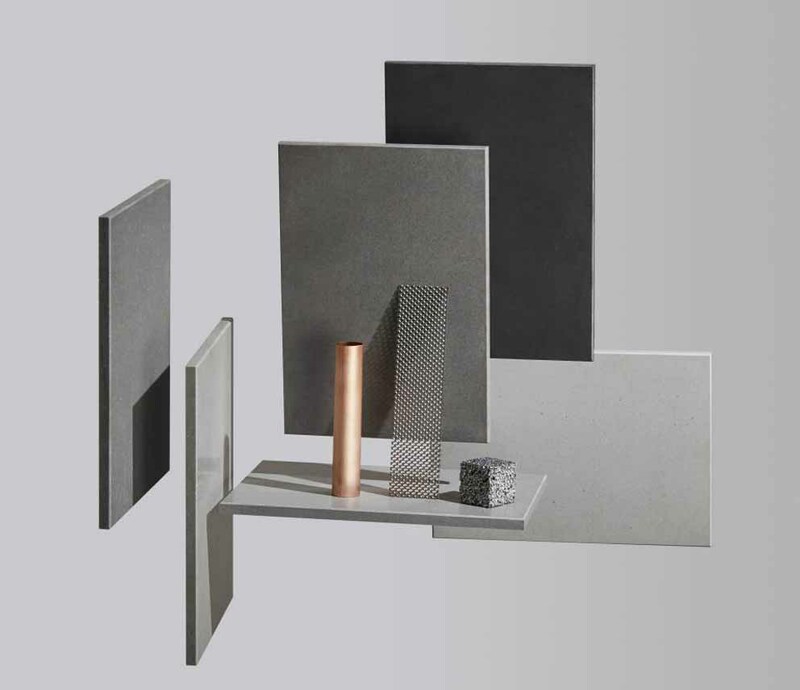 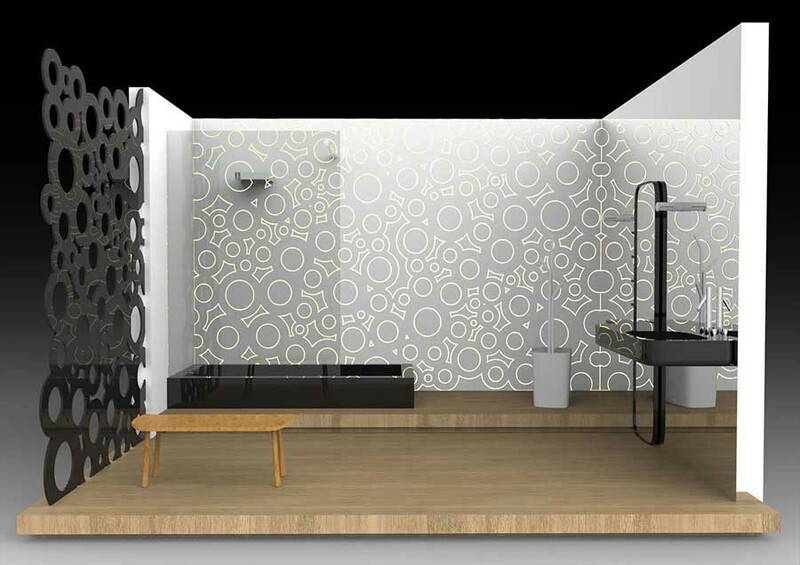 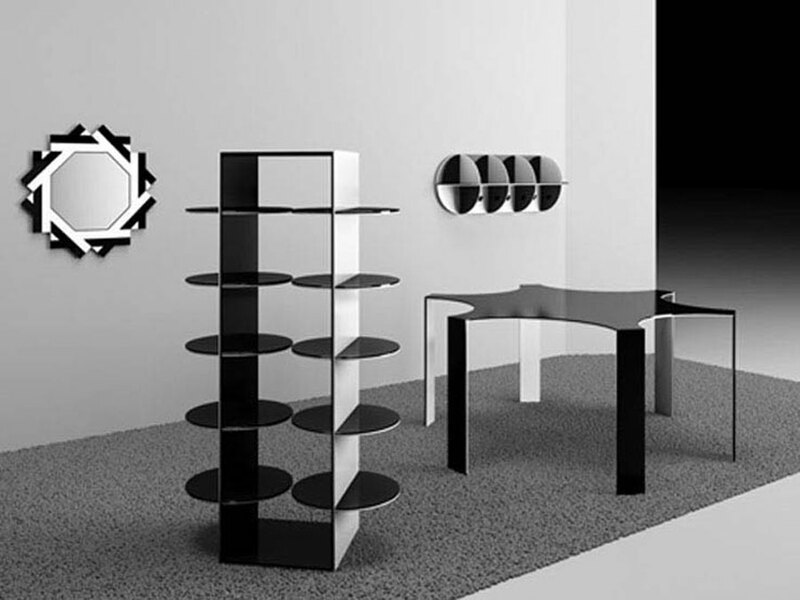 After the success of the first edition, “Scenario”, the project of visual communication that interprets Fenix NTM, the innovative nanotech material for interior design, is back. 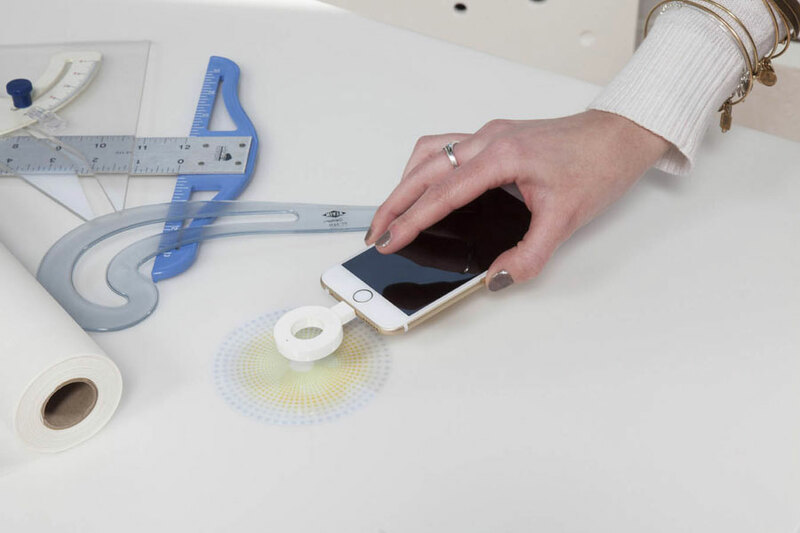 Shaping plans has never been so easy. 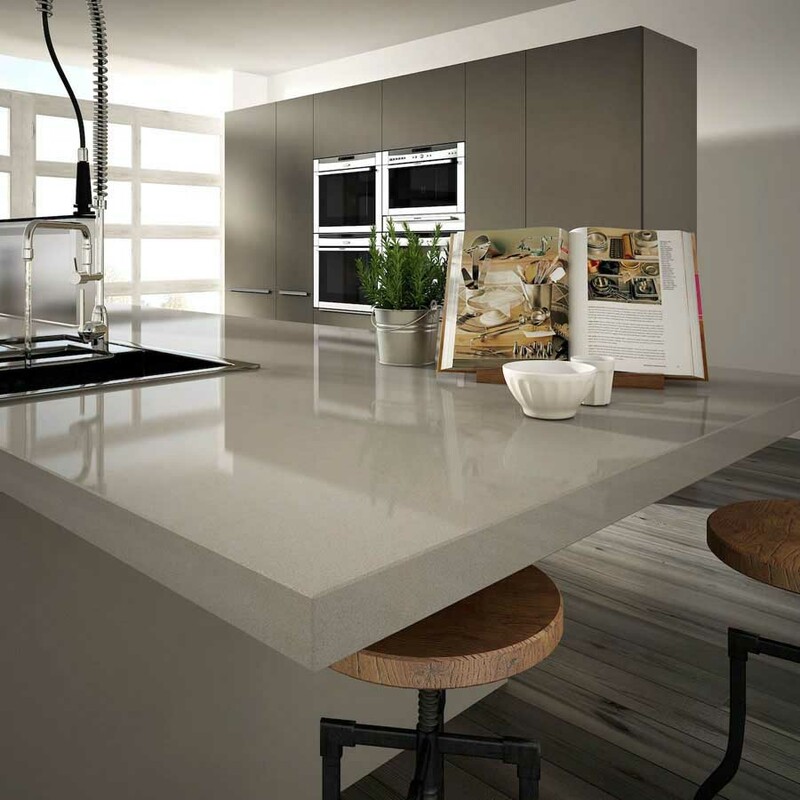 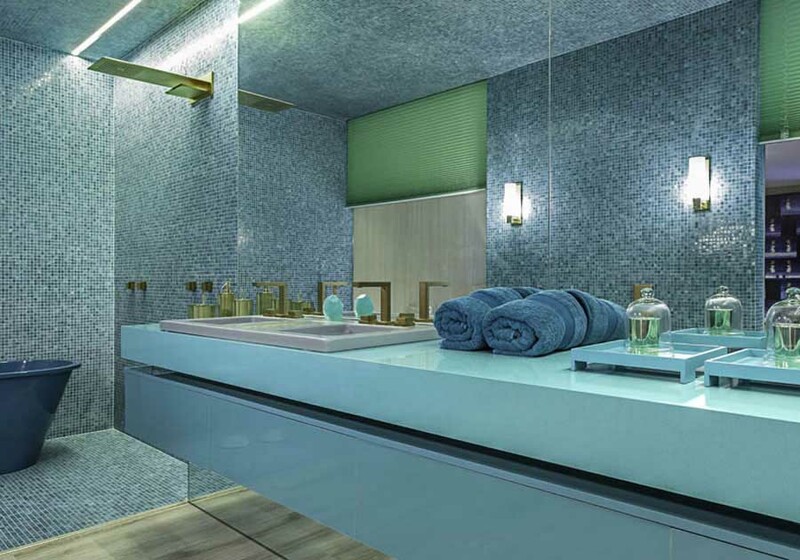 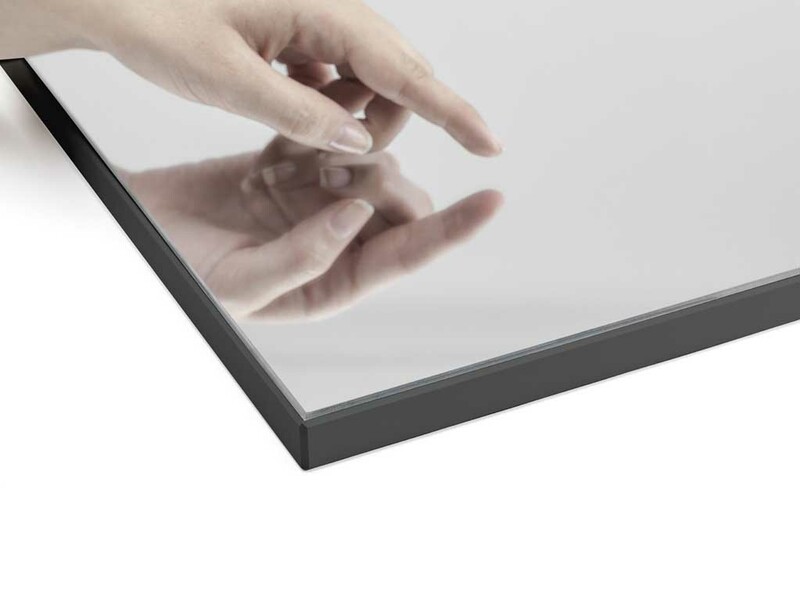 The new generation of acrylic stone was born. 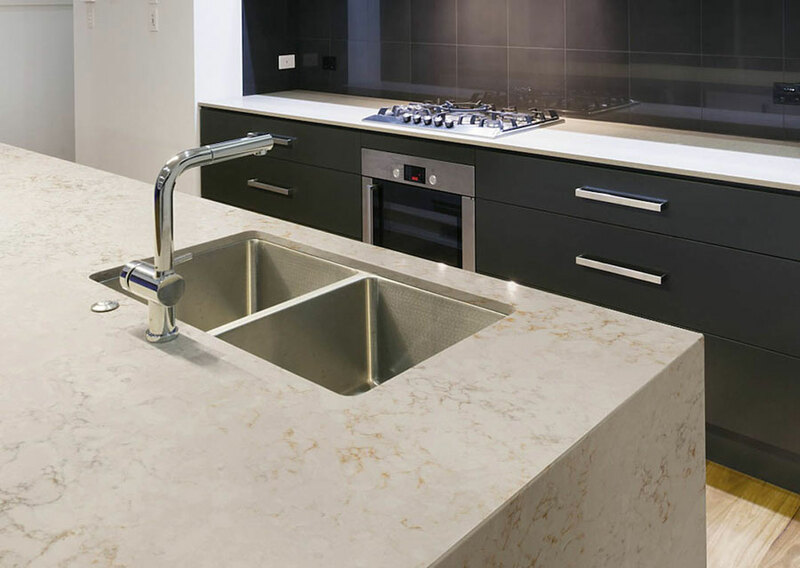 HI-MACS®, composed of 70% of powdered natural stone, derived from bauxite, 25% high quality acrylic resin and 5% natural pigments. 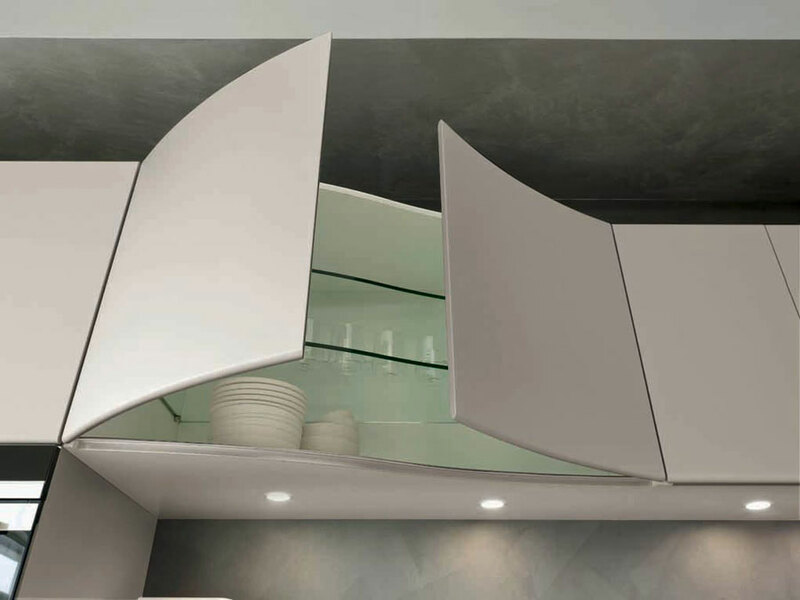 In this section you can find the new proposals from the best manufacturers of technological materials that are used in the furniture industry from the manufacturers and artisans of furniture. 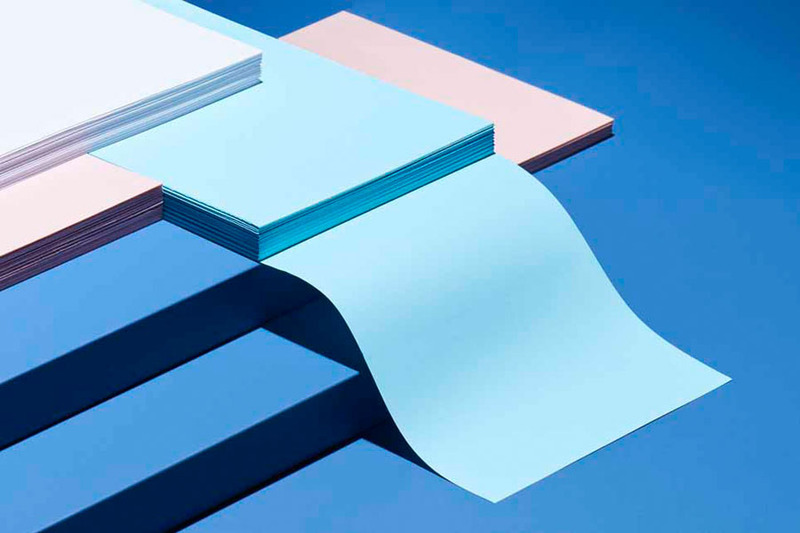 In this section you will find the best companies in the industry and you can view the products and catalogs, you can contact directly with the company that produces technological materials through the addresses that are on each card company.